You bought and installed QuickBooks, but you can’t get it to do what you need it to do. You’re using QuickBooks to track some basic numbers, but you know you’re not taking full advantage of its capabilities. You don’t have a clue about how to get started with QuickBooks. Whether you need on-premises or cloud-based assistance, Edison Business Solutions can help you turn QuickBooks from a source of frustration to a valuable business tool. We’re QuickBooks ProAdvisors, which means we’re Certified QuickBooks Consultants. We specialize in QuickBooks for Manufacturing but work with companies in all industries to ensure that your data is accurate, complete and up to date. We can set up accounting, customers, vendors and reports in QuickBooks, as well as printing tasks for reports, checks and invoices. Microsoft Access, Excel and Word can even be integrated with QuickBooks to simplify the exporting of data and group your data in ways that aren’t possible within QuickBooks. Finally, Edison Business Solutions offers on-site or off-site QuickBooks technical support, training and troubleshooting so your team can learn how to effectively manage your company’s financial data. When QuickBooks is properly configured and aligned with your business processes, the vast majority of your financial data will be posted automatically. Once our clients have QuickBooks working as it should, many use our outsourced CFO services to analyze their financial data and make more informed business decisions. 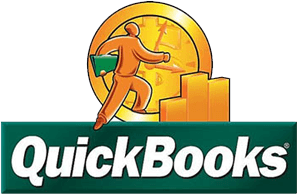 Contact us to find out how we can help you take full advantage of QuickBooks and other accounting software.